My daughter has had the same cute PBKids comforter and sheets since she was two. I loved this comforter and so did Emorie, for awhile. Lately she’s gotten into mermaids and for her seventh birthday, she asked for a mermaid room. I reluctantly agreed. We ordered this comforter, sheets and duvet from Target. I was relieved that the color matched her walls so well, because I didn’t want to paint them. I also grabbed some fuchsia craft paint and some teal craft paint so I could paint these papier-mâché letters. Now she has a cute monogram above her bed that matches her comforter. Her bookshelf didn’t really change much, except for this marquee letter from Justice. Her dresser area didn’t change much either. I didn’t even have to change the artwork. And finally, we swapped out my childhood vanity for this lovely desk, where she can do her homework. We decorated it with the memo board I made last fall, some cute boxes, and a few of her favorite things. With just a little craft paint and some new bedding, Emorie’s room looks completely and totally different. I still like the old bedding, but I’m quickly learning that my kid’s rooms aren’t mine, and if they’re happy with their rooms, I should let it be. And this mermaid loves her room. Reading nooks are all the rage, for both kids and adults. After all, we as adults love cozy places, and kids are no exception. Why not give the little kiddos in your life somewhere to kick back with a good book? Today, I’m sharing my favorite reading nooks for kids. I love the one pictured above. The patterns and colors work together perfectly, and those wall-mounted shelves are actually picture ledges. 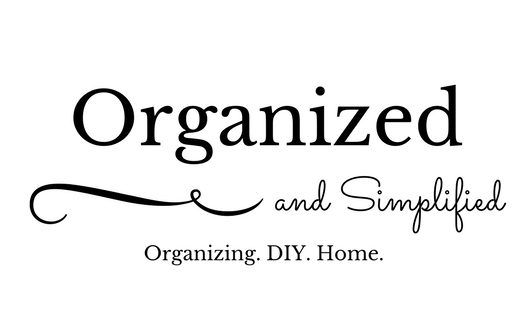 They’re inexpensive to purchase or DIY, and they’re such a nice, decluttered look. The wall decals and that little garland are too cute for words! 2. I just really love this teepee with its cozy pillows, rug and cute little star lights. You could always add picture ledge shelves to the wall behind it if you wanted. 3. Here’s a reading nook for the smallest of readers. 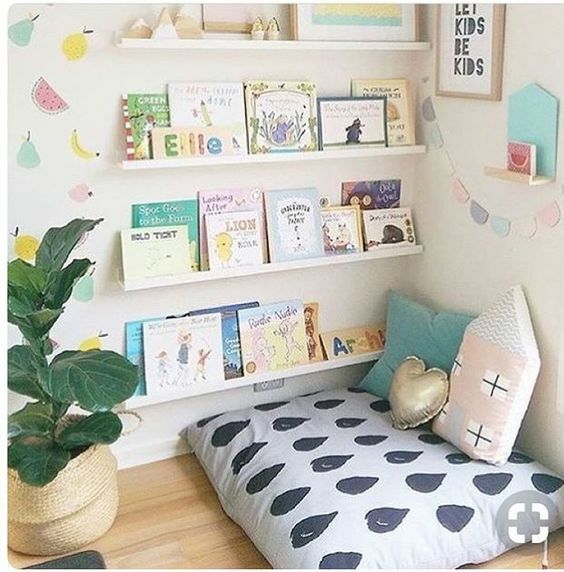 This toddler reading nook features low shelves for little hands to choose their own books, and a comfy bean bag. 4. Have a dormer in your kiddo’s room? Why not stretch a curtain across it and make a “reading room?” I love these curtains and the idea of a “private” reading area. My kids would absolutely love this. 5. Repurpose a Billy bookcase into a handy window seat in your reading nook. Add a long cushion and lots of pillows, and you’ll surely want to curl up with a good book and stay there. I love the colors, the extra storage and the cuteness of this reading nook. I hope you have truly enjoyed our Pinterest roundup today! Come back Friday for summer home decor tips.